Designer Brad Gressel made this cool glasses. 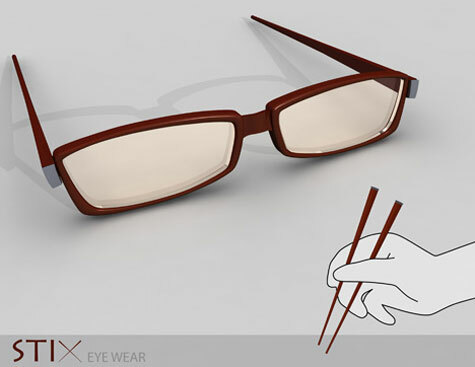 The arms of his Stix glasses concept are home to a pair of stainless steel tipped chopsticks so the shortsighted on the go will never be caught out again. Unfortunately there isn’t a compartment in the chopsticks for soy sauce.